Los Angeles, United States: The figure-hugging gown Marilyn Monroe wore to serenade President John F Kennedy for his 45th birthday smashed its guide price to sell for $4.8 million at auction on Thursday. The flesh-colored dress, adorned with 2,500 hand-stitched crystals, had been expected to fetch between $2-3 million, Julien's Auctions in Beverly Hills said. It went to Ripley's Believe It or Not!, an American media empire specializing in bizarre and historically significant items which owns a chain of museums, including one in Hollywood. The dress was so tight on Monroe that the legendary actress wore nothing underneath and had to be sewn into it at the last minute before stepping on stage at Madison Square Garden in 1962 to sing to JFK in her trademark sultry voice, according to the auction house. First auctioned by Christie's in 1999, the Jean Louis dress went to the late business mogul Martin Zweig for $1.3 million. "Marilyn Monroe singing 'Happy Birthday Mr President' is certainly one of the most famous impromptu performances in American history," said Darren Julien, president and CEO of Julien's Auctions. "Tonight was one of the most important moments in our history as a company. We were incredibly privileged to have had the opportunity to offer this amazing dress from the most legendary screen star of all time." Monroe died of an overdose less than three month after the performance, while Kennedy was murdered a year later. Other highlights of the first day of a three-day auction of Monroe's personal effects included the Some Like it Hot cocktail dress which sold for $450,000, and a "Rose Tattoo" gown which went for $125,000. A pair of her Ferragamo shoes were snapped up for $34,000 while the her "Niagara" negligee went for $59,000. 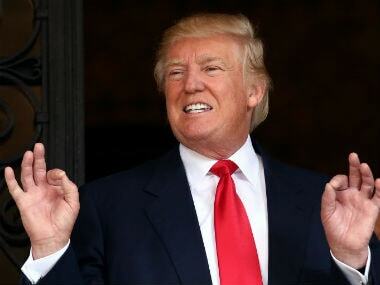 Such was the popularity of the "Mr President" gown that even a sketch of it by fashion designer Bob Mackie sold for $10,000. "We have had remarkable opportunities to offer unique objects related to Marilyn Monroe in the past," said Martin Nolan, executive director of Julien's. "Tonight is one of the most remarkable events in Julien's Auctions history and one we will never forget." More than 1,000 lots of her possessions — the largest collection ever offered for auction — are being sold over three days. Many come from the estate of her acting coach, Lee Strasberg, who died in 1982. Considered the father of method acting, he worked with a host of stars including James Dean, Richard Harris, Dustin Hoffman, Jack Nicholson, Al Pacino, Jane Fonda and Robert DeNiro. 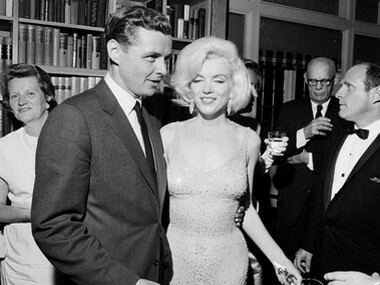 Strasberg developed a close friendship with Monroe, who bequeathed all of her personal effects and clothing to him in her will. The singer and actress, one of the world's most bankable stars before her death aged just 36 in Los Angeles, remains at the top of the list for collectors of celebrity memorabilia. Five years ago, the billowing frock she wore on a subway grate in The Seven Year Itch — the scene that turned her into a screen icon — sold for a record $5.5 million.